It’s not hard to pigeon-hole a cappella music as a quirky novelty act. A cappella music conjures up images of smiling, lovable-yet-nerdy undergrads, waving their jazz hands and singing versions of kitschy pop songs. If you’re not well-versed in the genre, at best, maybe you’re thinking of the cast of Glee (with their totally not a cappella music, yes, I hear you, band playing as backing track). And even then, you’ve probably got a bit of a snicker going on, because, okay, even I can admit it, a cappella can be pretty cheesy sometimes. But not Sonos. While the members of this California sextet have their background in university a cappella choirs, they’ve expanded their repertoire far beyond Top 40 pop songs and into the far more juicy world of indie rock. Yes, a show by Sonos features their recreations of songs such as Radiohead’s “Everything In Its Right Place”, Bon Iver’s “Re: Stacks”, and Fleet Foxes’ “White Winter Hymnal”. Other artists covered include Bjork, Depeche Mode, Rufus Wainwright, and Imogen Heap, and that’s just on their debut album. They toss in covers of songs by Israeli/South African singer Yoav, the Jackson 5, and, okay, a little Britney Spears, just for fun. You can’t take all of the hilarity out of a cappella, after all. The group put on a highly entertaining, captivating show, performing most (if not all) of the songs from their debut album, plus a few still-unreleased tracks (including one which remains so for, uh, legal reasons). Even more important than the inspired song choices, however, is the fact that all six members are very strong singers. You have to be, in order to sing unaccompanied and still manage to stay in pitch. Each member got a chance to shine, with lead vocal responsibilities never being relegated to just one person. Even beatboxer Ben McLain had a chance to pass the beatboxing duties off to the rest of the group for a while as he soloed on Yoav’s “Club Thing”. If Sonos ever rolls through your town, take a chance and go see them. If anything, they might help to dispel a few of the preconceived notions you may have about a cappella groups. 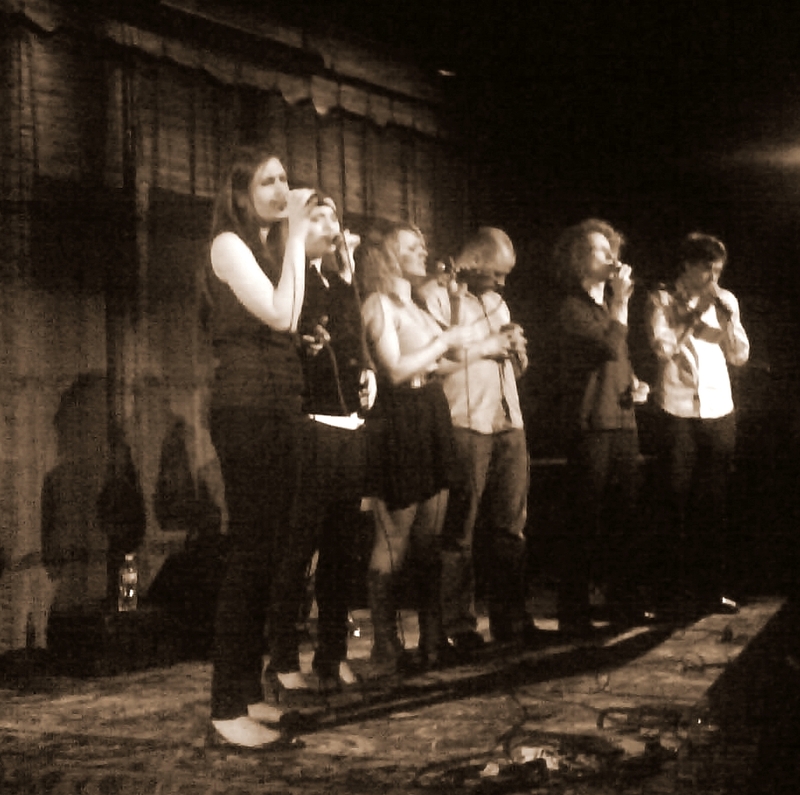 But I’m betting that you’ll find yourself spellbound by their great harmonies and innovative arrangements.